I love food, and I love a good mystery. A cocktail is nice, too. Cognac Conspiracies has it all. 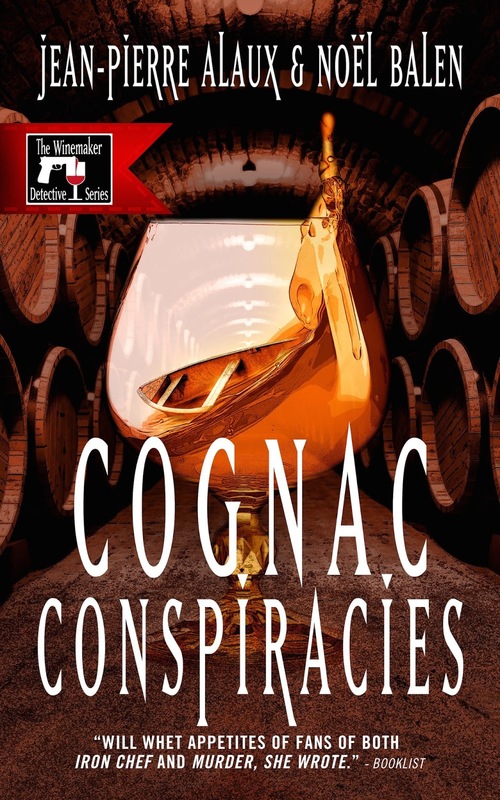 This book takes place mostly in the world of cognac-making, where a family business is in a bit of a turmoil, a murder is committed, and wine expert Benjamin Cooker and his assistant get themselves involved. I recently reviewed another book by these authors, Deadly Tasting , and one thing that's different in this one is that we learn more about Cooker's past - one of his old girlfriends happens to live nearby, and he pays her a visit and meets her son - but who's the father? We also learn a bit more about Cooker's assistant, Virgile Lanssien, who also plays a more significant role in this book. The one downside of this book is that since it's set in France (and originally written in French for that audience, and subsequently translated into English), names of places are thrown around casually, with the assumption that the readers will have a vague idea of the region - much like we'd understand the difference between Cape Cod, Brooklyn, Dallas, and Los Angeles, even if we've never visited any of those places. But it's only a small blip, and it doesn't affect the actual story line. Like the previous book, this is a fairly short book, and a quick and easy read. The end was satisfying, which is pretty much the best you can say about any book. I received a digital copy of this book at no cost to me.